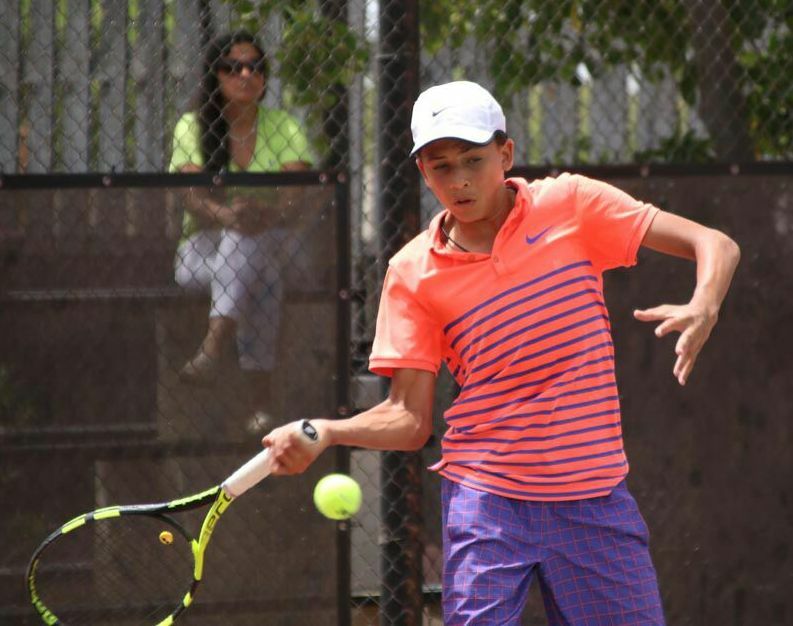 Daniel Phillips has advanced to the Rafa Nadal Tour Under 14 Tennis Tournament Main Draw Semi-Finals in Barcelona. In his Fourth Round Main Draw match Phillips would once again come good as he defeated #6 seed Iker Sevilla Perez, but he needed to come from a set down to do so. Phillips went down in the First Set 6-1, but he would bounce back to win the Second Set 6-3, Phillips would close out the match winning the Third and Final Set 6-3. Phillips’ coach Sam Maybury asked the youngster a few questions in the lead up to the Semi-Final. Coach Sam’s Question - How was your performance today? Daniel’s Answer - I had a slow start today because of my body getting tired faster from the intense matches. I was making easy mistakes. Then I settled down and found my comfort zone and stayed in the flow. Coach Sam’s Question - What is the biggest difference in your game? Daniel’s Answer - The biggest difference is in me. I now feel like I am on the same level as all these guys. My confidence has risen. All my strokes are the same. My mental game has improved because of how I am able to recognize my opponent’s weakness and adjust my game to correct my mistakes. Coach Sam’s Question - What made you start slower today? You cannot start like that tomorrow. 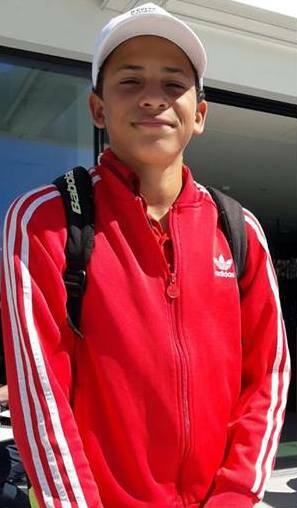 Daniel’s Answer - Lately I have been trying to be more intense in my training at the academy so that I can be more prepared for the fitness part of playing tournaments. I’m still tired, so I will work harder in training. For now, I will get more rest, maybe a massage and drink a half gallon of water before I go to bed. Coach Sam’s Question - Are you maintaining your humility? Daniel’s Answer - Yes, being so tired helps me to be more humble since I have been here. Coach Sam’s Question - Have you completed your academic school assignments? Daniel’s Answer - Yes, I have to keep my average above a 2.0 in order to compete In the tournaments. Coach Sam’s Question - Do you have any nagging injuries? Daniel’s Answer - No. not at the moment. Coach Sam’s Question - Have you had your recovery foods? Daniel’s Answer - Yes, I have my carbs and fresh fruit by my side. Coach Sam’s Question - How have you been handling the increased attention at the tournament? Daniel’s Answer - Many of the people have been noticing me and talking about me. I stay humble and focused on why I am here and what I have to do on and off the court. Right now I’m tired. With rest, I’ll be ready for tomorrow’s Semi-Final. 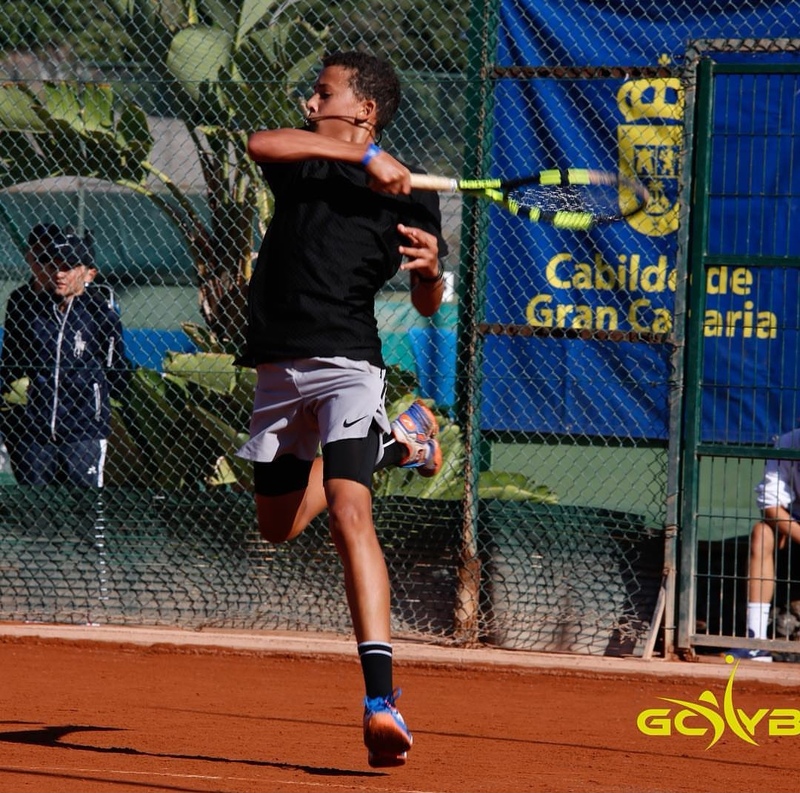 Daniel Phillips has advanced to the Rafa Nadal Tour Under 14 Tennis Tournament Main Draw Quarter-Finals in Barcelona. In his Third Round Main Draw match Phillips would once again come good as he defeated Danil Mishchani, but needed three sets. Phillips won the First Set 7-5, but Mishchani won the Second Set 6-1, but Phillips would close out the match winning the Third Set 6-4. Phillips is now playing in the Final Round of the tournament having advanced from the Group Stage. In his Second Round Main Draw match Phillips would once again come good as he defeated Bernardo Munk Mesa in straight sets. Phillips picked up the 6-1, 6-1. In his First Round Final match Phillips defeated Naim Benito Fernandez in straight sets 6-1, 6-1. The ISU World Team Trophy continued in Fukuoka, Japan, with Vanessa James and Morgan Cipres represented France taking to the Ice to compete in the Pairs Event. The 2019 European Champions James and Cipres were second in the Pairs Short Program with a solid skate except for one wobble on James’s triple toeloop which resulted in 76.39 points. The pair then recorded a score of 76.13 after the Free Programme to finish with a winning time of 152.52, Russian pair Natalia Zabiiako and Alexander Engert finished second with 142.32 points and Kirsten Moore-Towers and Michael Marinaro from Canada finished third with 131.84 points.